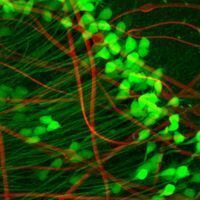 Scientists engineer a feedback loop to fine-tune neuron activity with optogenetics. 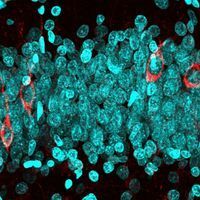 Optogenetics, a technique that transfects genes for light-activated ion channels into neurons to excite or inhibit the cells, has given scientists incredible control over neuronal behavior. 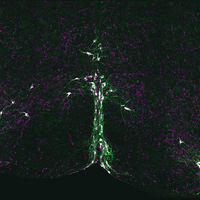 Until now, micromanaging cells’ activity has not been so easy, as such precise control requires real-time feedback from the neurons themselves. 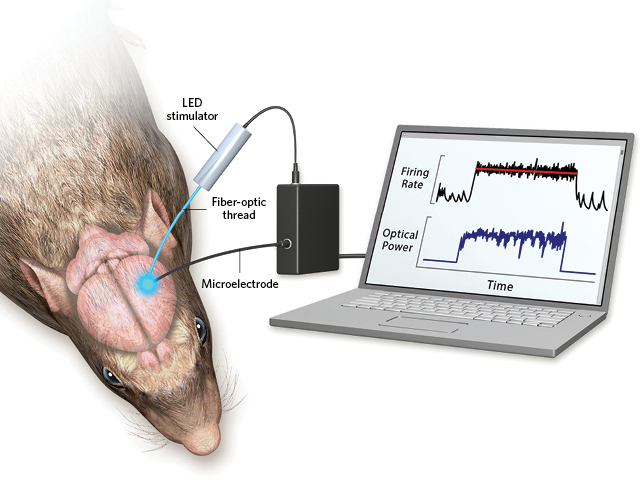 Neuroscientists Steve Potter and Jonathan Newman of Georgia Tech and Emory University’s Laboratory for NeuroEngineering and their colleagues designed a system called an optoclamp that measures that feedback and instantaneously processes it into a command to increase or decrease the intensity of light being used to stimulate neurons. FIRE AWAY: Channelrhodopsins—introduced via transgenes— in neuronal membranes are light sensitive. 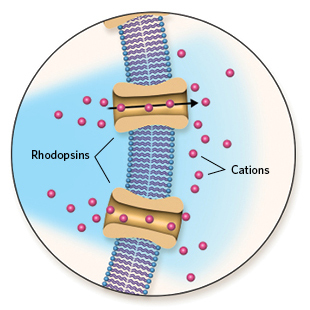 When activated, the channels transport positive ions (cations) into the neurons, causing them to fire. “It’s essentially a neuro thermostat,” says Matthew Wilson, a neuroscientist at MIT who was not involved in the study. The optoclamp uses microelectrodes placed near neurons in a culture dish or in vivo that pick up electrical signals from the cells as they fire in response to light activation. Just as a thermostat responds to temperature, if the firing rate deviates from a desired rate programmed into a computer receiving the electrode signals, the light intensity is immediately adapted to compensate for the change. 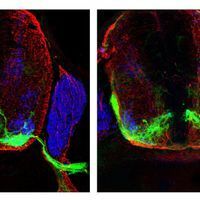 The whole cycle occurs in about 10 milliseconds, and the apparatus can hold the cells’ firing rates constant for as long as 24 hours, allowing scientists to decouple neuron firing from outside inputs, such as a rat’s whiskers.